Three First Nations communities formed a partnership with SFU to investigate ways to create a supportive environment for Aboriginal entrepreneurs. 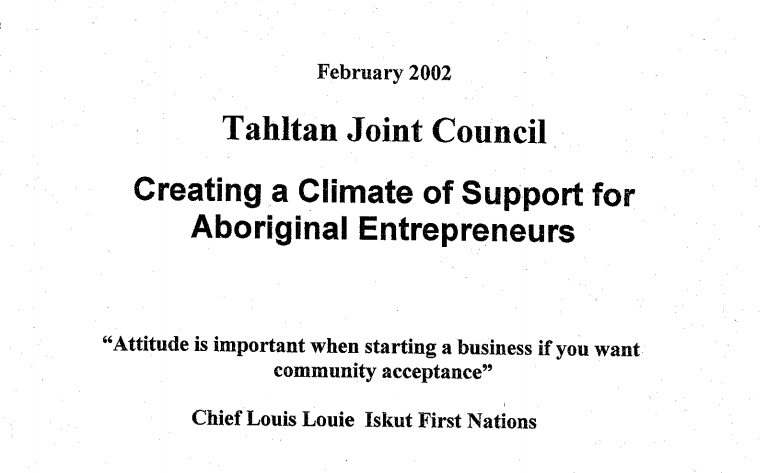 This project followed the Western Diversification/Simon Fraser University study (2001) on the information and service needs of Aboriginal entrepreneurs. That study indicated there were many obstacles put in the way of Aboriginal entrepreneurs, and many of those obstacles to business start-up and success were found in their own communities.